911 Restoration Los Angeles is proud to be serving the Pasadena area with top-tier water damage restoration services so that there is nothing to keep us from success. You may think that in a time of drought it would be impossible to experience water damage, or that a pipe burst is still improbable, but accidents happen all the time in southern California. That is why we have made ourselves available 24/7/365 for whatever troubles come your way. On top of that, if you experience something like a water heater burst at 3:00 am, we will still be there within 45 minutes with same-day service. It is how we actively ensure to homeowners that we care about them, and that we are here to support you through the wettest of times. 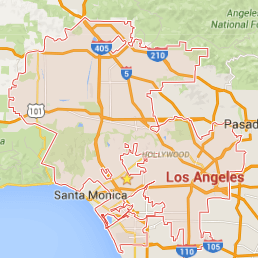 Call 911 Restoration of Los Angeles if you are in need of a water damage Pasadena team that will excel for you. With little precipitation and a lot of a sun, it is hard for a homeowner to imagine what kind of water damage they could face. So, we are not here to worry you. Instead, we are here to just make sure you are mindful of the ways you can avoid water damage. The first thing we recommend all homeowners do is they should actively be keeping their gutters clean when the wetter season does come. The smallest amount of blockage, due to leaf litter, is enough to keep water pooling. Here, it can begin festering mold, and allow water to seep into the spaces of your roof. Another incident to keep in mind is a possible pipe burst due to the constant changing of the earth. Remember, we are in earthquake country. Pipes should be fastened onto some type of support. One, for the sake of normal usage, you do not want pipes shaking around. Then, in the event of an earthquake, a rupture can occur. Having a support will help it keep in place, and therefore, will keep in all intact. Finally, actively check water connected appliances for secure connections every month. The reason being, a leak could sprout and water can be filling the spaces of your home without you even being aware of it. When this happens it can lead to structural damage to your drywall of load bearing beams. If you discover any type of unwanted water, call our water damage Pasadena team for the best care in the business. You can count on us, we promise. Take this true water damage remediation story as an example of what we can do for you. A Pasadena customer slowly started to see the paint job in her bathroom swelling away. Bubbles started to form around the base board of a wall, and they were making their way up. After a while, the drywall was crumbling. Worried about potential mold growth, she decided to call our water damage Pasadena restoration team. We were out there fast, and provided her with a free water damage estimate. 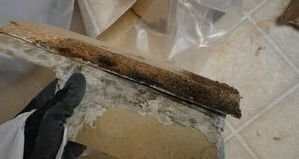 In it, we explained to her that she was right about the mold, but the decomposition was mostly due to a pipe leak that was occurring behind her wall. Once we explained the extent of the damage to her, she allowed us to begin restoration work. We used our blowers to dry out the sub-floor, and then our mold removal team decontaminated the space from mold. Once the team cleared the area, we began restoration. We replaced her drywall and linoleum floor with brand new material. She was ecstatic about her home. The best part? Due to the existing water damage problem from a pipe burst, we were able to get her insurance company to cover the full cost of restoration. If you are in need of a restoration company that will work this hard for you, then call water damage Pasadena 911 Restoration Los Angeles, today!